8 of the top-10 pharmaceutical companies. 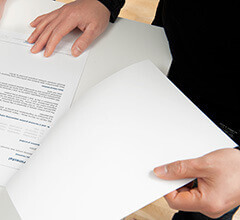 "We are very pleased with the work of Alphalyse, who provide us with high-quality tests of our recombinant products. 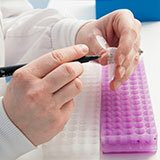 Most importantly, we can ship them hundreds of samples at once and always receive the analytic results shortly after. "We really enjoy collaborating with Alphalyse as part of our optimization of manufacturing processes. Not only do we gain access to their hands, but we also get to pick their brains for mass spectrometry knowledge"
"Alphalyse´s HCP analysis saved us for development of an ELISA assay that may not have worked anyway. The HCP team provided very competent explanations of test results and was very open in discussing the method capabilities"
Since 2002 Alphalyse has provided standard and custom protein analysis services to the pharmaceutical industry, biotech companies and universities worldwide. 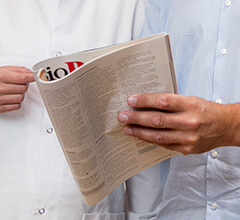 Over the years, we have serviced thousands of customers from our laboratory and offices in Denmark and the USA. 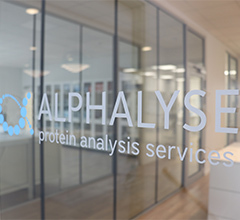 Alphalyse is a contract research laboratory (CRO), proficient in protein chemistry, mass spectrometry and bioinformatics. 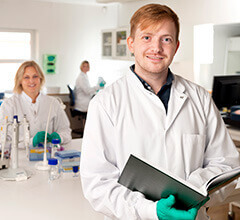 Our team of dedicated and highly skilled protein scientists is committed to helping your bring your processes forward, by analyzing proteins using top-of-the-line equipment.